Here at Samsara, we love to build things. 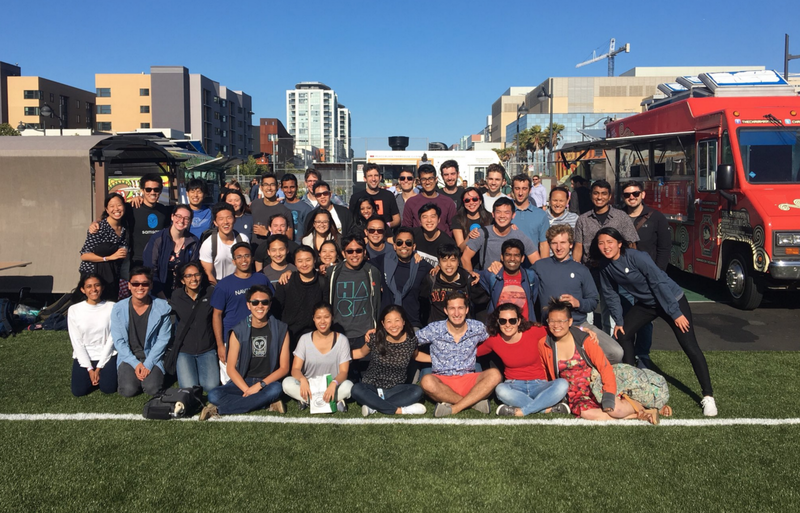 Not only do we love to build products that delight our customers — we also love to build teams that stay productive and nimble as our company grows. We’re constantly looking for new ways to embrace change and work together in exciting ways. One of the traditions we’ve formed to help nurture this spirit is to set aside a few days every quarter to hack on new ideas. Affectionately dubbed “Hacksara”, these hackathons are a space to dive into unfamiliar parts of our system, form lasting relationships, and explore radical ideas for our product roadmap. We’ve been hosting them consistently for the past five quarters, and each one has been bigger and better than the last. Enjoying our time together as a team! Inclusive. Everyone is welcome to participate in Hacksara — from engineering to design to product and beyond! The majority of hacking takes place during work hours, so there is no need to adjust personal obligations to take part. Mentorship is encouraged throughout the entire process — from project planning to team formation to hacking — so everyone has the chance to learn new skills and contribute something meaningful. Innovative. According to Marc Andreessen, one of the most important things a company must do once its found product-market fit is to get to the next product. Samsara has already created a healthy portfolio of products, but we don’t plan to slow down. Hacksara is an ideal breeding ground for what could become our latest product lines. Some incredible projects have already spun out of our hackathons and into the real world, including Weather Overlay and a fresh take on Search in our cloud dashboard. Collaborative. Hacksara is a highly collaborative environment, encouraging the formation of interdisciplinary teams between people who don’t normally work together day-to-day. Further cross-pollination happens as participants seek out project advice from experts in relevant parts of the stack. As our engineering team continues to scale, these interactions are incredibly valuable — they strengthen our bonds as friends and coworkers, help us stay up-to-date with the current state of our rapidly evolving system, and ensure that we are spreading team values and best practices to even our newest members. Fun! The act of building something can be a ton of fun on its own, but we take things even further at Hacksara. From crepe-making stations to trucking simulator races to custom hackathon swag to hand-curated soundtracks, we strive to pack our hackathons full of crazy experiences and fun memories. Who knows what we’ll cook up for our next Hacksara?! We recently hosted our the fifth iteration of Hacksara, and it was the largest and most exciting one yet. With record attendance, record snacks, and record hacks, it was incredible to see the energy and creativity that emerged! Hacksara demos drew a huge crowd! There was a massive crowd for demos, with members from many other parts of the company attending to cheer everyone on — from product to marketing to even executive leadership including our CEO Sanjit. 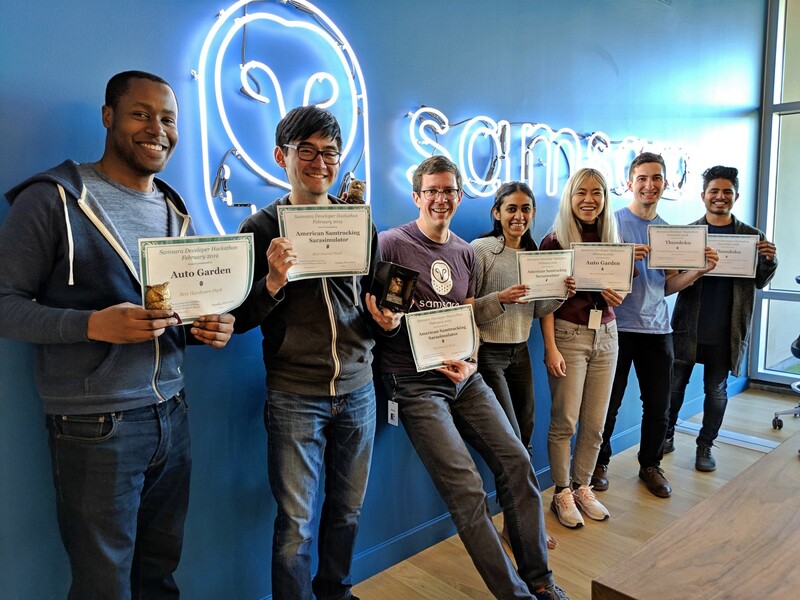 After a period of anonymous voting, we celebrated awards such as Best Impact on Developer Experience, Best Hardware Hack, and Grant-a-Customer-Wish at our biweekly Dev meeting. Awards included certificates and a small prize, with cute golden owl trophies for Best Overall Hack. 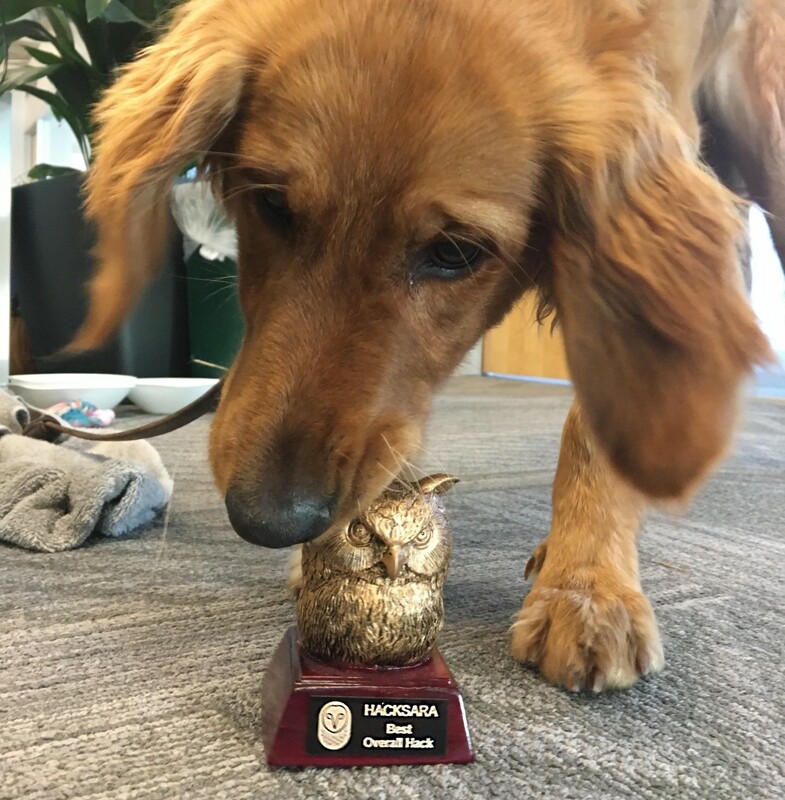 The signs of our hackathons — from awards to memories to hacks — can be found all around the office (…sometimes by our furry friends 🐶). Nora is one of our many beloved Samsara pets and also a big fan of our hackathons! As Samsara scales even further and we continue to embrace creative ways to work together, one thing is clear — Hacksara has cemented its place in our DNA as a fun and engaging way to learn new things together while also incubating product ideas. We’re excited to continue our tradition of hacking and look forward to exploring all the ways we can do even better with future hackathons. The best is definitely yet to come! Special thanks to everyone at Samsara who helps make our hackathons awesome and contributes to our engaging workplace. And a big thank you to Kavya Joshi, Joy Chen, Elisha Paul, Sarah Wright, and Ryan Reading for helping edit this post!